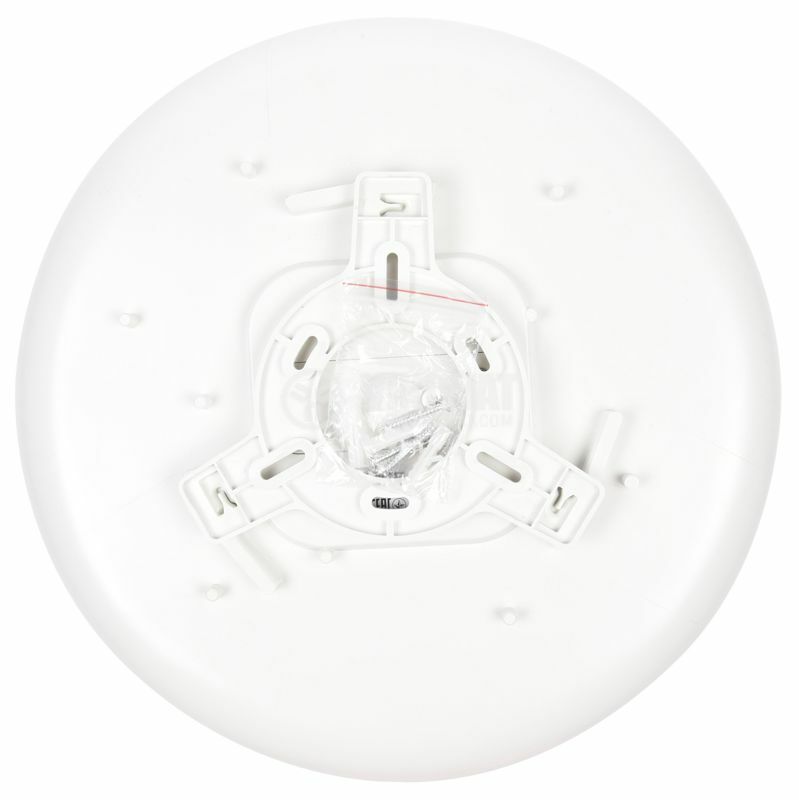  Waterpoof, round LED ceiling lamp (dome light) JADE with power consumption 30W, luminous flux 2060lm, protection degree against moisture IP44 and cool white lighting. 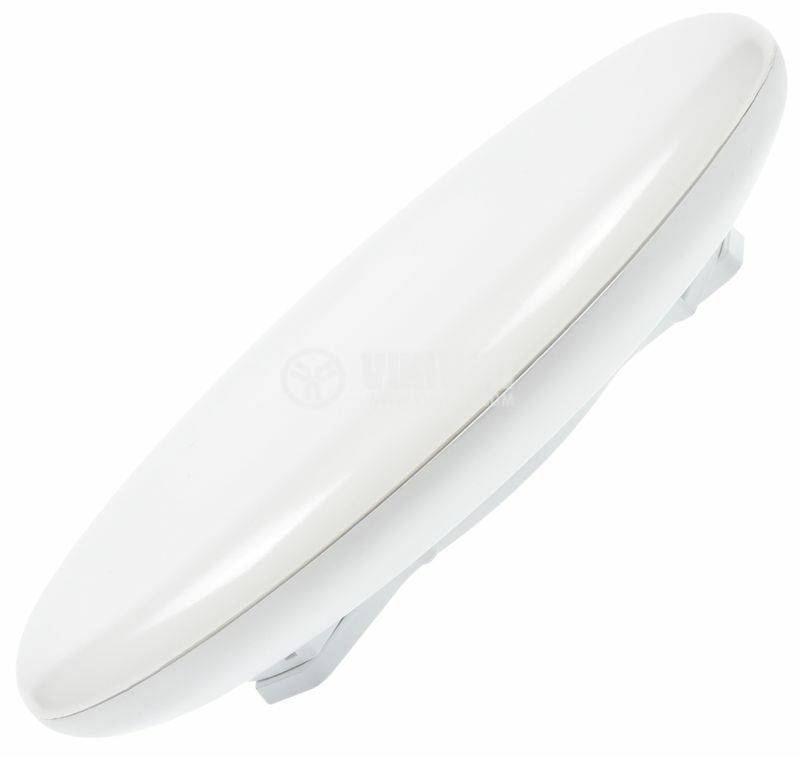 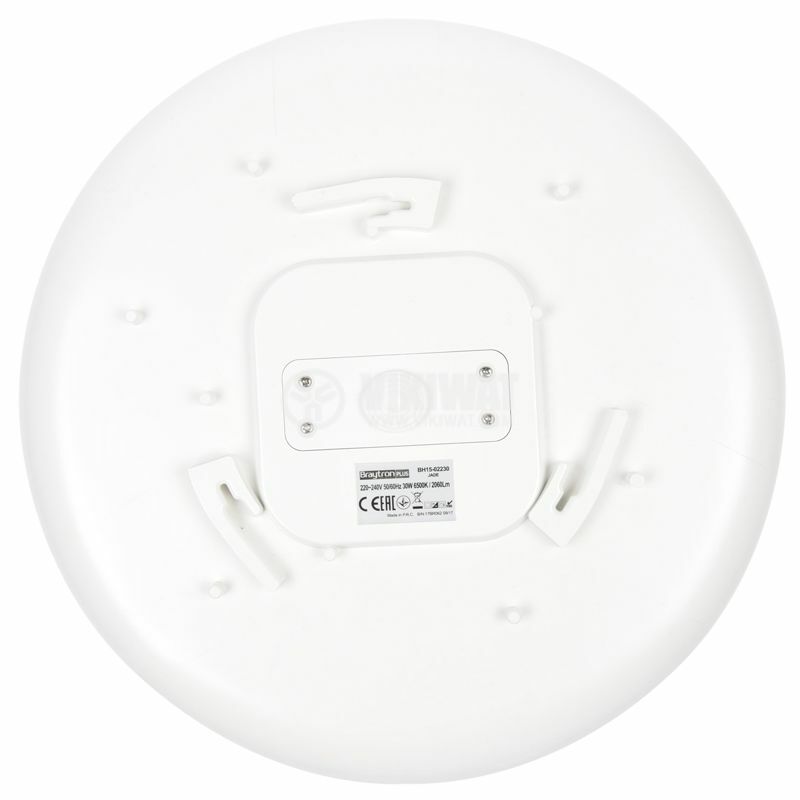 Suitable for indoor and outdoor installation at bathroom, WC, garden, balcony, deck areas. 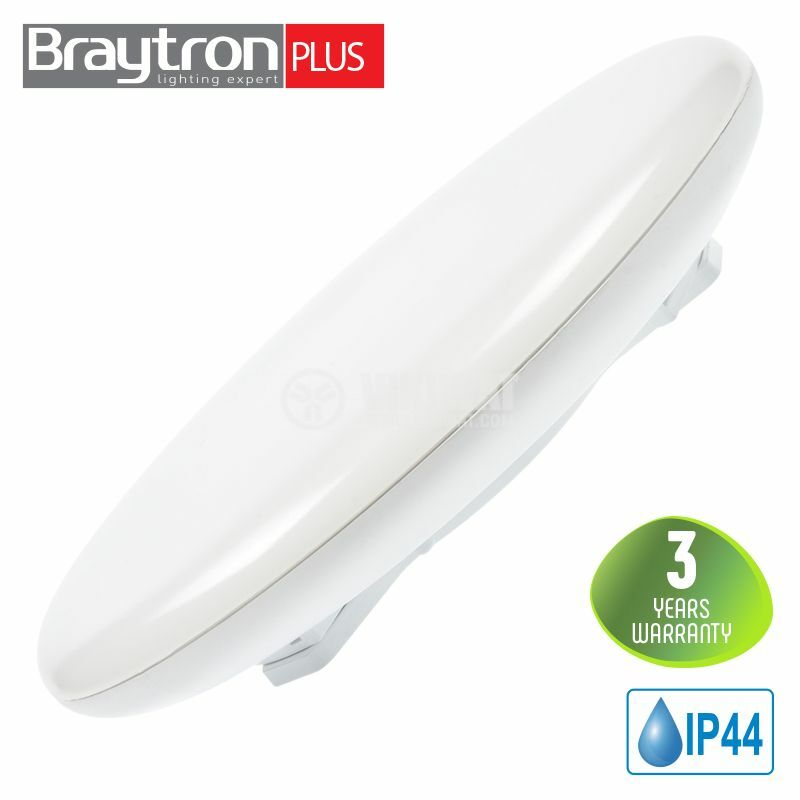 Braytron LED lamps are modern and stylish. 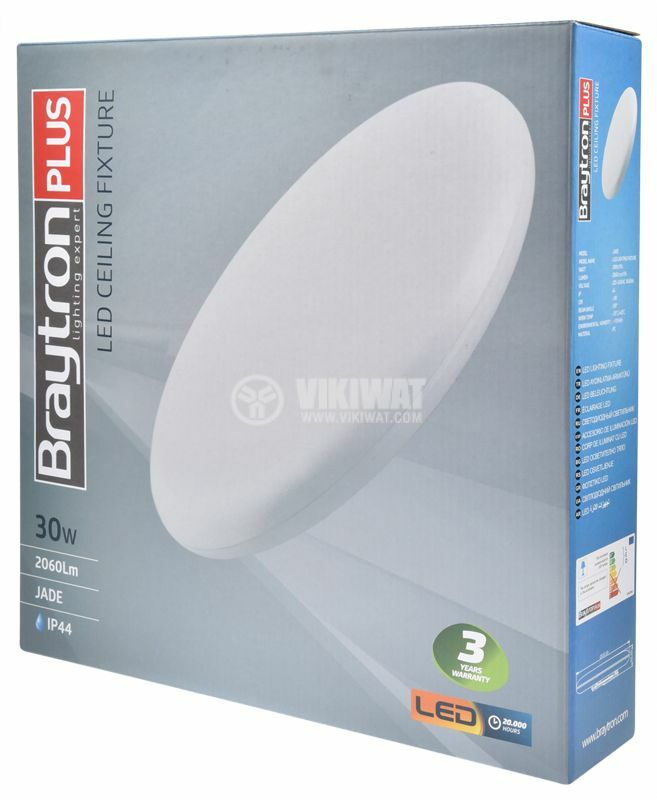 They emit soft, diffused light and are energy-saving - making them suitable for universal use in the home, office and public buildings.